The interior design of your home can include many of the custom features available in a conventional home. Because most manufacturers use computer-assisted design, you’ll have flexibility in choosing variations of floor plans and décor. You can also choose from a variety of exterior designs, depending on your taste and budget. Exterior siding comes in an array of colors and materials, including metal, vinyl, wood and cementitious sidings, which are virtually fireproof. Awnings, enclosures around the crawlspace, patio covers, decks and steps also are available. Depending on the size, floor plans and any custom features, a new home can cost anywhere from $15,000 to more than $100,000. This price doesn’t include the property on which it sits. Depending on the site, you may be purchasing it, leasing it or renting it. Your retailer usually can provide information about financing. You can also check with lenders in your area. Just as there are choices when you buy a site-built home, there are a variety of financing options when you buy a manufactured home. Down payments and loan terms are similar to conventional loans (5% to 10% of the manufactured home’s sales price), and loan terms from 15 to 30 years. Most lenders offer fixed- and variable-rate loans, and most have programs that allow you to “buy the rate down.” If you own or plan to purchase the land where you will place your home, traditional mortgage financing can often be arranged. While your mortgage payment may be your biggest expense, you’ll have other regular and periodic payments which will vary with your circumstances. Regular expenses may include utilities, property taxes, land rental fees, insurance, routine maintenance, and other service fees, such as water and sewer. Today’s manufactured homes are built to meet new national energy standards set by HUD. The energy-conserving features found in manufactured homes help reduce monthly energy costs. Your homeowner’s manual outlines maintenance requirements, and it’s important that you follow them. Failure to follow them could void your warranty, as well as erode the value and shorten the lifespan of your home. Additional maintenance, systems and safety information can be provided by an InterNACHI inspector during your next scheduled inspection. There are important differences among warranties. For example, manufacturer warranties usually do not cover installation (also called “set-up”) and transportation of the home, although you may be able to get this coverage through the retailer or installation contractor. Although you may never need such warranty services, it’s a good idea to check the coverage on any warranties offered before you buy. Yes, but it’s not a common scenario. 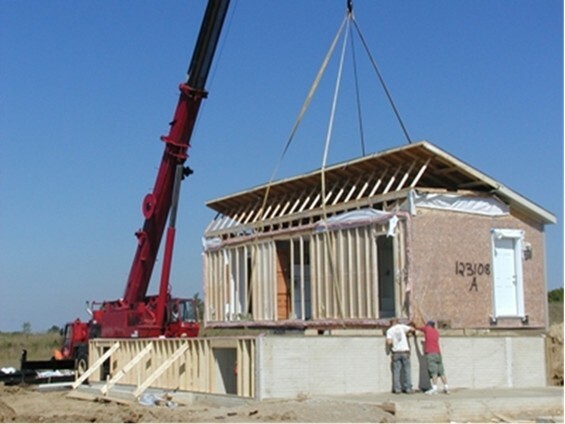 The transportation of a home can place considerable stress on its structure and components. Nevertheless, if you do plan to move your home in the future, make sure you check with the appropriate state authorities about transportation and zoning regulations. States have restrictions on weight, size and width that may prevent you from moving your home. If you relocate, make sure you use a professional transporter; never try to move the home yourself. It’s also important to check the climate zone maps for your home. These maps tell you the wind, snow and thermal zones for which your home was constructed. Use them to determine whether your home is suitable for the new location you’re considering. The actual overall costs connected with moving are another consideration. In addition to transport expenses, which include licensing fees to take your home through a state, you’ll have to pay for a new foundation, installation, and utility hook-ups.